Enterprise Farms is a multidisciplinary riding facility. We specialize in classical equitation, hunters, jumpers, dressage, and children’s programs. We teach the first-time rider through the advanced, upper-level show team. We also offer sales and leasing programs, competition training for horse and rider, children's holiday and summer camps, birthday parties and special events. 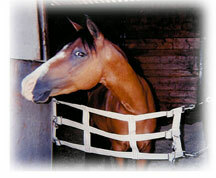 Enterprise has an excellent selection of horses and leasing programs are available. Personal attention is so critical with leasing programs that we feel it essential to tailor each lease to the rider’s needs and desires. Call us or stop by for a visit. We will work closely with you to tailor a leasing program to suit your needs. Our new feature page has the news and events that Enterprise Farms' student send to us to share with you. If you would like your story included on "Our Students tell us....." page, send it to Gene Gilbert at Enterprise Farms. Don't forget to include any pictures! We'd love to hear from you!